Charles Bukowski - His reputation proceeds anything we could have written here to describe his writing! More intriguing snapshots of his life story and writing available here. David Mamet - Playwright turned film writer and director. Razor-sharp dialogue and wit. Credits include Glengarry Glen Ross, The Spanish Prisoner, and Wag the Dog. Russell Banks - One of the most gifted storytellers in American fiction today. Works include The Sweet Hereafter, Rule of the Bone, and many others. Want some more Banks? Click here. 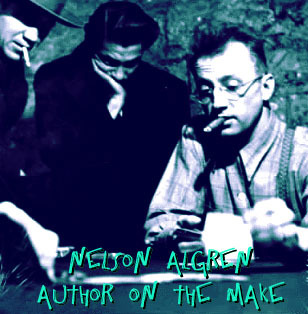 Nelson Algren - Excellent non-fiction writer who has crafted many gritty no-nonsense works about the culture of Chicago. 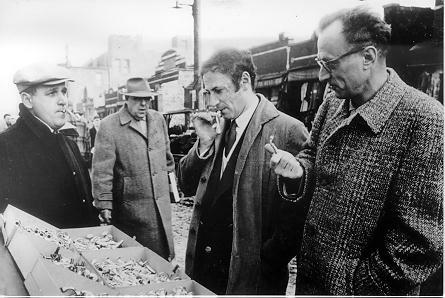 For a more complete bibliography of Algren's works, click here. John Irving - Seamlessly blends elements of the fantastic and of realism. His novels are horribly engaging and absorbing.